The Cardinal Black book launch at Alabama Booksmith is fast approaching! It all starts Saturday, April 20, 2019, at Alabama Booksmith in Birmingham, AL (technically, Homewood, AL). At 2:00pm CST, Robert McCammon will be in the upstairs auditorium of The Alabama Booksmith to present a talk on the Matthew Corbett series, his writing in general, and Cardinal Black. He’ll leave time for a Q&A. At 2:50pm CST, the event will be on Facebook Live leading up to the drawing at 3:00pm CST for the magnificent, signed limited numbered slipcase edition of Swan Song. The lead-in will include questions sent in by fans from around the world who cannot come to Alabama. Immediately after the drawing, Rick will go downstairs to sign books. Attendees are welcome to bring old copies of any Robert McCammon titles, and he is willing to sign them. 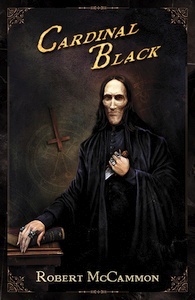 NO COPIES OF CARDINAL BLACK WILL BE SIGNED UNLESS PURCHASED AT THE ALABAMA BOOKSMITH! 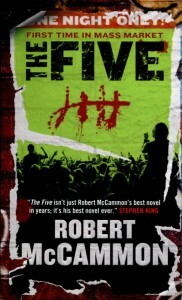 The Alabama Booksmith is launching this book, and Robert McCammon has pre-signed every copy. All are signed first editions at regular price and include the exclusive picture of Robert McCammon (signed and numbered) in period attire that appears on the jacket of Cardinal Black. Although the books are already signed, any attendee who prefers may have their name inscribed. 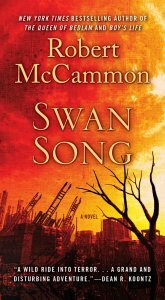 Since The Alabama Booksmith is Robert McCammon’s home town bookstore, they have hardback signed copies of every Robert McCammon title in print, and a few out-of-print. 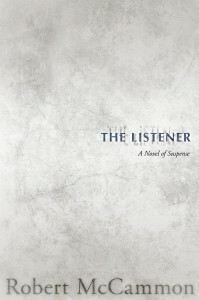 They all may be seen here on the Alabama Booksmith website. I’ll be attending the book launch, too!